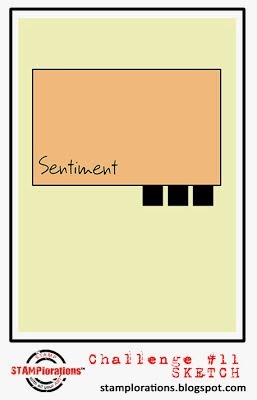 I only altered it slightly - used two tabs instead of three, and moved the sentiment to centre stage. I used two of the new release sets, Thanks Sentiment Builder and Vignette: Grunge Floral Strips. Come back on Wednesday to take part in our blog hop and be in with a chance of winning some of the new goodies. Our guest designer for this challenge is Mynnette. Pop on over to the STAMPlorations blog to see what Mynnette and the design team have created for your inspiration. The sketch challenges are sponsored by our sister shop, All About Scrapping. The winner gets to pick 3 DIGITAL products from the shop — any combination of printable sheets, Photoshop templates, and digital paper packs. The winner will also be invited to be a Guest Designer in next month's sketch challenge. Don't forget, if you entered our last sketch, and you also enter this sketch and our monthly challenge, you could be in with a chance of winning this random prize. OK, even looking up close... how'd you do that? Is this a one-layer card? Love your use of the washi!! 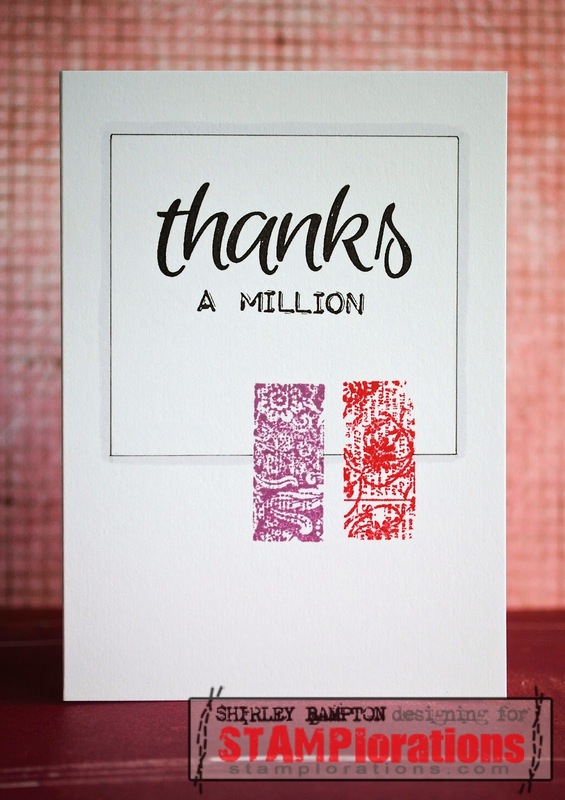 Fabulous- CAS to perfection, great use of large sentiment stamp with the washi stamps. Swooning over all the glorious white space and the fabulously bold sentiment! So pretty - like the clean look of your card! I join the challenge on Stamplorations with this sketch too my card is nr. 19 maybe you would like to see it...I would be glad...hugs, Monika from Germany.